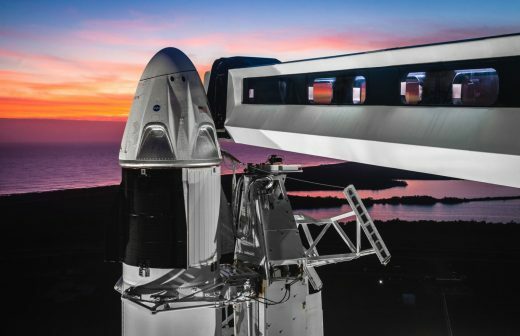 SpaceX and NASA have set a new target date for the Crew Dragon’s first test flight: March 2nd. The capsule was supposed to blast off on top of a Falcon 9 rocket and head to the ISS for the first time on January 7th, but the partners rescheduled it twice since then. Neither gave an explanation for the delays — they’re pretty common when it comes to rocket launches, after all — but Florida Today brought up the possibility that the capsule’s first test was affected by the 35-day government shutdown that lasted until January 25th. Crew Dragon will travel for two weeks to the ISS to show that it can safely ferry astronauts to the station. The capsule won’t be carrying human passengers yet, of course, as the demo flight is meant to test the capsule’s hardware, verify data and train ground controllers and mission managers. Boeing is planning to launch a similar test flight for its own crew capsule, the CST-100 Starliner, in April. If all goes well and the flight finally pushes through, SpaceX will conduct the capsule’s first manned mission in July 2019, a month later than originally planned. NASA is hoping to get Crew Dragon and Starliner certified to carry astronauts to the ISS as soon as the end of this year. When that happens, the agency can finally bring back manned missions to US soil and stop relying on the Russian Soyuz spacecraft.